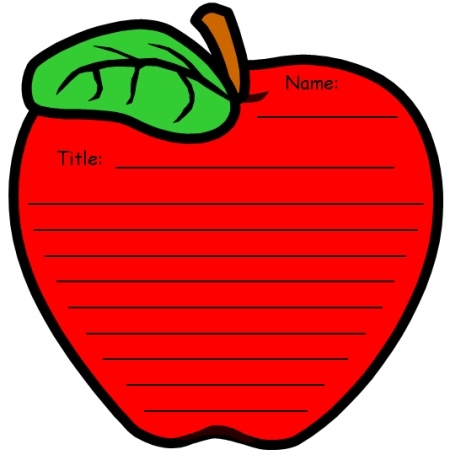 Apple Writing Templates: Are you looking for an apple shaped writing template that will help you create an eye catching Back to School bulletin board display of your students' creative writing assignments? 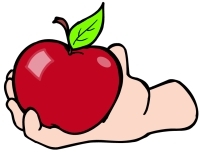 In addition to a Back to School assignment, these apple writing templates could also be used at other times during the school year for poetry, health, science, or for a unit on Johnny Appleseed. These unique apple writing templates measure 6.5 inches in width and 6.5 inches in height. For this reason, my students never begin their creative writing assignments by writing on their final draft apple templates, instead they write on first draft worksheets. Then, they edit and revise their work on their own, with a partner, or in individual writing conferences with me. Below is an example of the first draft writing worksheet that is included in this Back To School printable worksheets set. 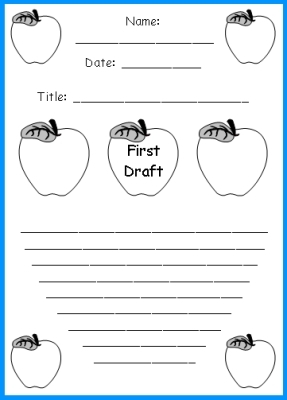 The writing lines and spaces on the first draft worksheets match the lines and spaces on the final draft apple templates. After students have edited and revised their first drafts, you should give them their final draft apple templates. 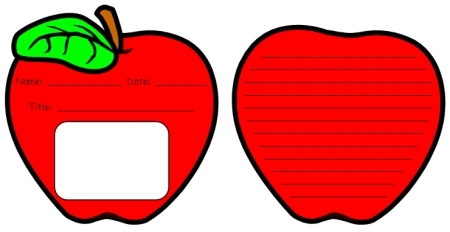 This set is designed to be a flip up book and there is a front page apple template that contains the student's name, date, title, and an area to draw a picture. The second apple template (page 2 of the flip book) is where the students write their assignments. Students cut out both of their templates and then staple them together to form a flip book. 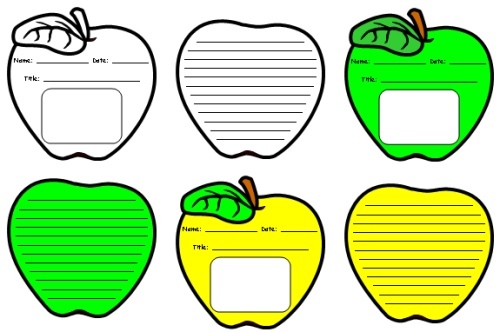 If you want this to be a longer writing assignment, simply give your students an additional second apple template. These apple writing templates contain thick black borders, which makes it easy for students to cut out the apple templates by themselves. 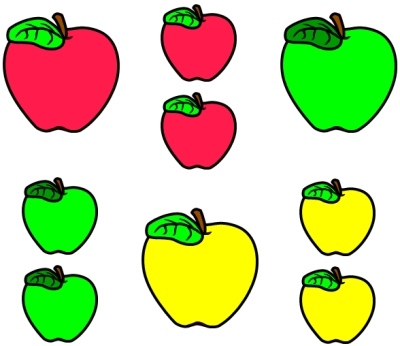 red, white, green, and yellow apple templates. Cut out both apple templates and staple them together to form a flip book. 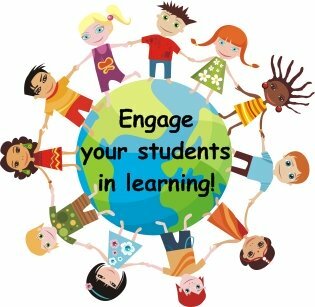 Are you interested in having a one page apple creative writing assignment for your students to write on instead of a 2 page flip book? 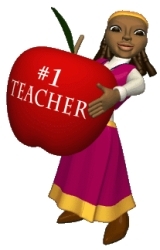 This set of Back to School teaching resources also includes a one page apple template. 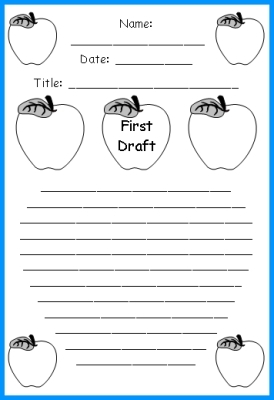 Below is an example of the first draft worksheet that is used with the one page apple template. Below is an example of the one page apple template in red. 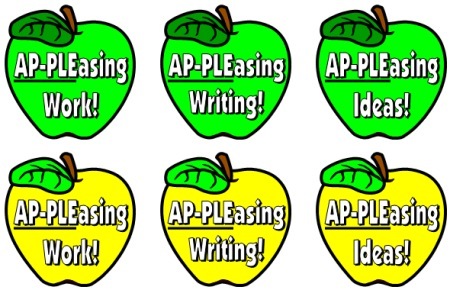 apple writing templates in white, green, and yellow. 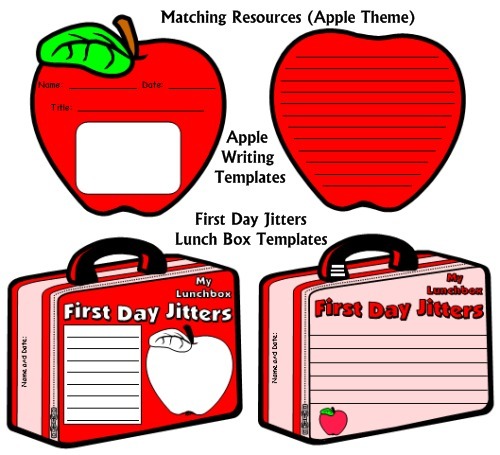 I have included apple accent pieces in this Back To School printable worksheets set. There are red, green, and yellow apple accent pieces with phrases written on them. There are plain red, green, and yellow apple accent pieces. 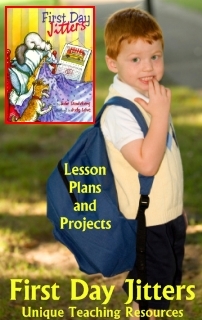 aloud book, use the same apple templates as the creative writing set shown above. displayed together on a Back To School bulletin board. First Day Jitters, written by Julie Danneberg, is a wonderful picture book to read to your students the first day of school. Can you remember your first day at a new school? 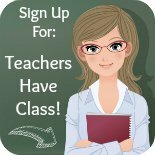 Can you remember your first day of school as a brand new teacher? First day jitters aren't just for kindergarten students! It's the first day of school and Sarah Jane Hartwell is nervous and wants to stay in her bed. Mr. Hartwell tries to ease her nerves with calm reassurance and wise advice. The plot leads to a very cute and surprising twist at the end of the story when the readers learn that the teacher is the one who is nervous about her first day of school. 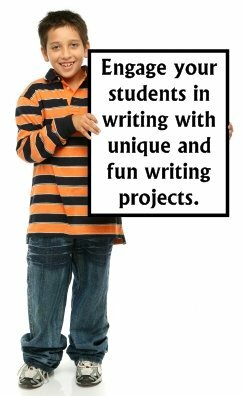 Thank you for visiting my Apple Writing Templates creative writing page.